Hello and welcome to issue 70. It’s our final full edition of 2016. Now there’s many award ceremonies around this time of year (we even feature one – Northern Power Women – check them out) but I felt that it would be too hard to single out any of our amazing contributors (female or male) as I’m personally pretty much in awe of them all anyway, so instead I thought it would work well to catch up with some of your favourite campaigns and activities of the year. 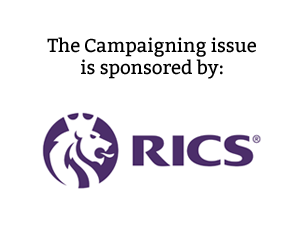 A big thank you to our friends at RICS who have kindly sponsored this issue. Check out this article on careers in surveying from our archives. In the first instance gender equality is about educating society to forget what it thinks it knows – that there are ‘women’s jobs’ and ‘men’s jobs’ – not true! These ideas were things we were taught. Over the centuries we began to treat the genders differently and we forgot our naïve, childlike assumptions that we are all equal. I visited a construction college last week and had a fascinating conversation about male and female students and the dynamics of gender equality in the construction industry. It seems that women on construction courses are used to being given the unicorn tag (of the token, mythical woman) and typically as the single female they have to earn the respect of their mainly male peers by being outstanding at their work, whether this is plastering, joinery or whatever. In reality this is probably how most male dominated places of work and learning have traditionally operated. I hope this is changing. Women have to excel in order to survive when we’re in the minority, as do men in female led professions. There’s lots of unicorn envy out there too. Rather than telling unicorns (whether they happen to be female or male) how fantastic they are and how they shouldn’t change, society often tells them they need to be more like the rest of the herd of regular horses. “But your unicorn horn is so pointy and weird.” “You’re all sparkly.” Some unicorns can end up falling into the trap of being talked down by those who envy their uniqueness. Now no gender equality blog would be complete without mentioning the ‘S word’ – STEM. There’s no other topic that engages people in quite the same way. This year I’ve learnt that when it comes to women the STEM space is this strange dichotomy between the past and the future. We’re realised in recent times that throughout history we have largely been overlooking, or worse shouting down exceptional women because they threatened the idea of what society thought women should be. Ada Lovelace, Marie Curie, Elizabeth Blackwell and so many other unicorns were largely overlooked in their lifetimes. Margaret Hamilton was recently awarded the Presidential Medal of Freedom by Barack Obama in recognition of her work on the flight navigation software for the Apollo project, but even she wasn’t taken seriously when she first began using the term “software engineering” to give legitimacy to this new field. Amy Johnson is a unicorn figure who Womanthology readers love and she did manage to achieve worldwide recognition (including a CBE) in her lifetime when she became the first female pilot to fly solo from England to Australia in 1930. Her life was tragically cut short though in 1941 when her plane went off course and crashed in adverse weather conditions. She had been flying for the newly formed Air Transport Auxiliary, whose job was to transport Royal Air Force aircraft around the country during the Second World War. This year Amy has honoured by the city of her birth in the Amy Johnson Festival in Hull, which took the very modern approach of bringing together engineering and science with the art and design, so STEM has become STEAM. I believe that this approach is one of the most progressive ways to encourage all young people – girls and boys – to retain an interest in science, tech, engineering and maths. Why annex off such closely related adjacent areas and force talent to pigeonhole itself unnecessarily? The future of STEM (or STEAM) has a huge resonance with our readers. I recently re-shared Kerrine Bryan’s feature about the books she wrote – My Mummy is an Engineer, My Mummy is a Scientist and My Mummy is a Plumber – on social media and the reaction was just was great as when I shared it several weeks ago when it was first published. Womanthology readers care passionately about challenging gender stereotypes for the next generation and this gives me hope that things are set to change as boundaries between male and female professions break down. It will soon be OK for anybody to be a unicorn and for others to admire, rather than envy them. So why don’t we forget what we’ve been taught to think? We can all do whatever we set our minds to. Ambition, thought and ingenuity are not gender specific. Let’s not forget this and let’s make sure the next generation doesn’t forget it either. 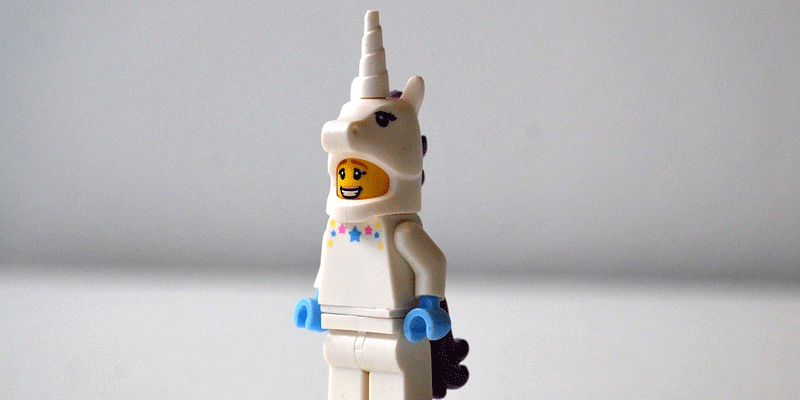 Be a unicorn – be proud to shine brightly and don’t be afraid to stand out.